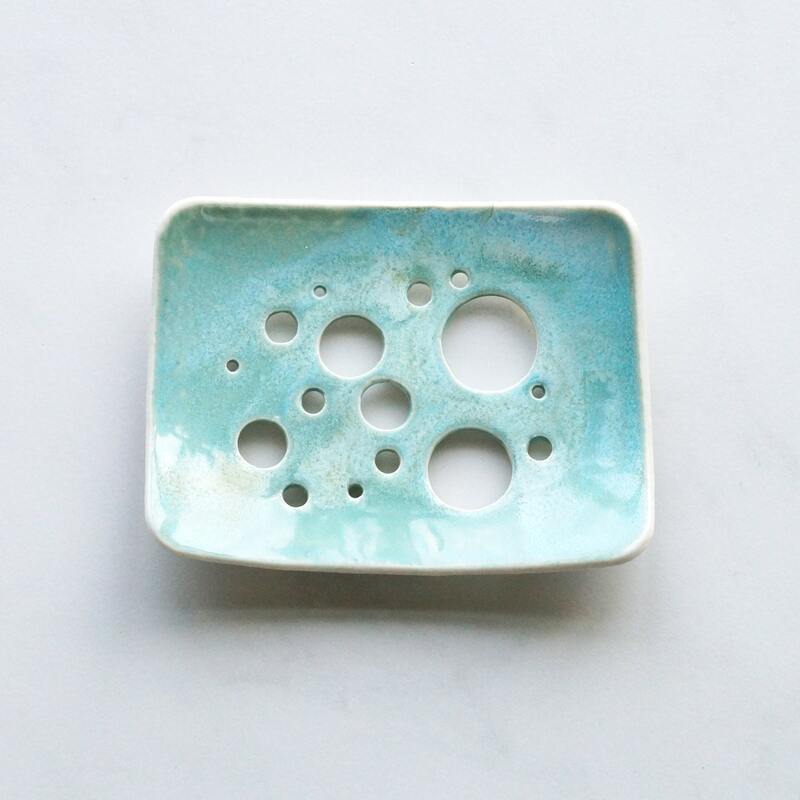 Handmade ceramic porcelain soap dish with an aqua glaze and bubble holes. 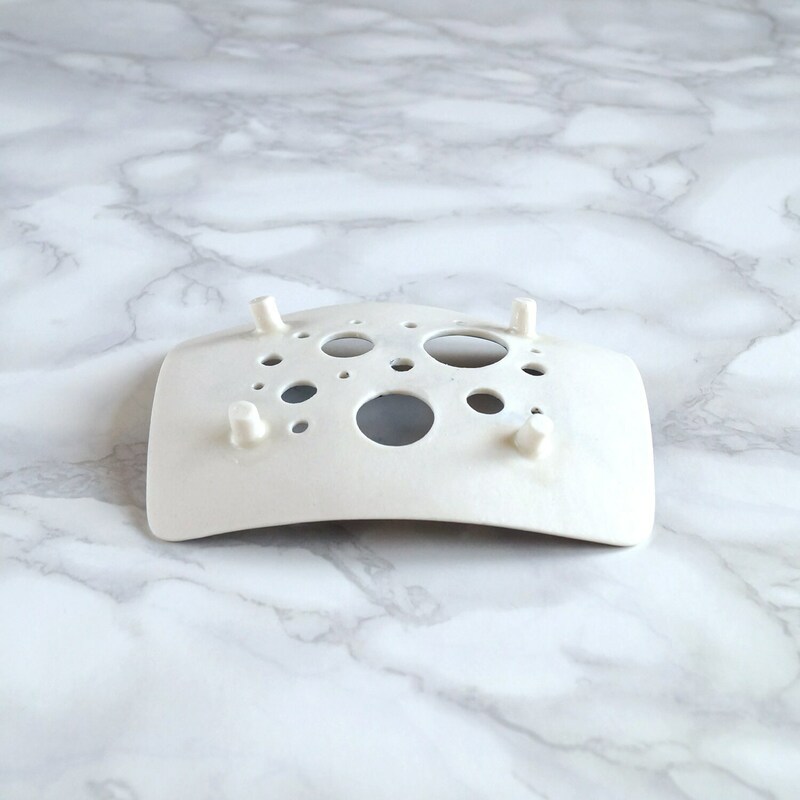 Curved shape to hold most soaps. Turquoise / aqua glossy glaze. Holes to drain the soap. 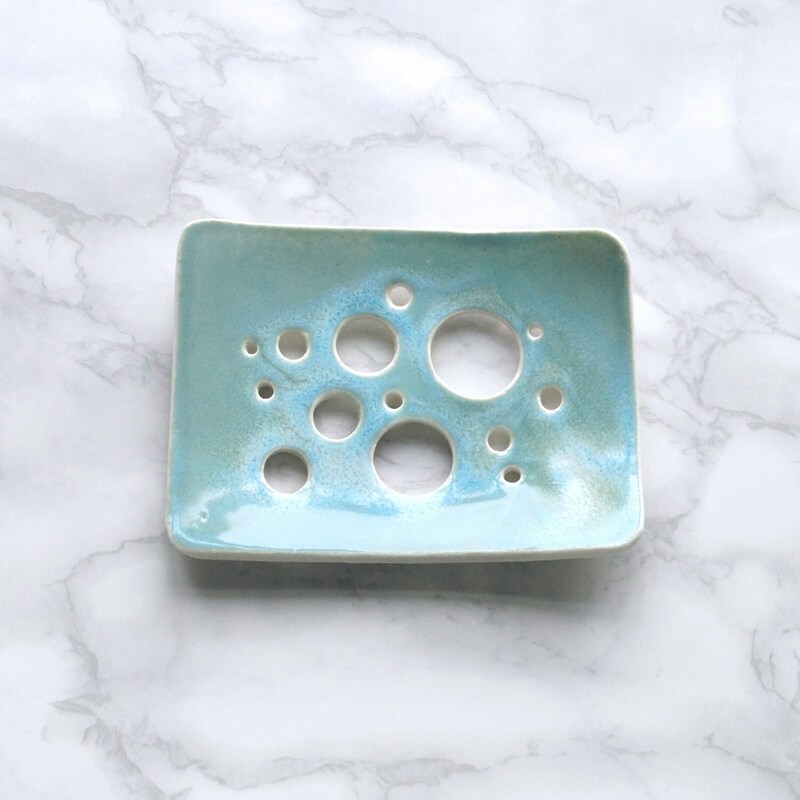 Soap dish 84 mm x 110 mm approx. 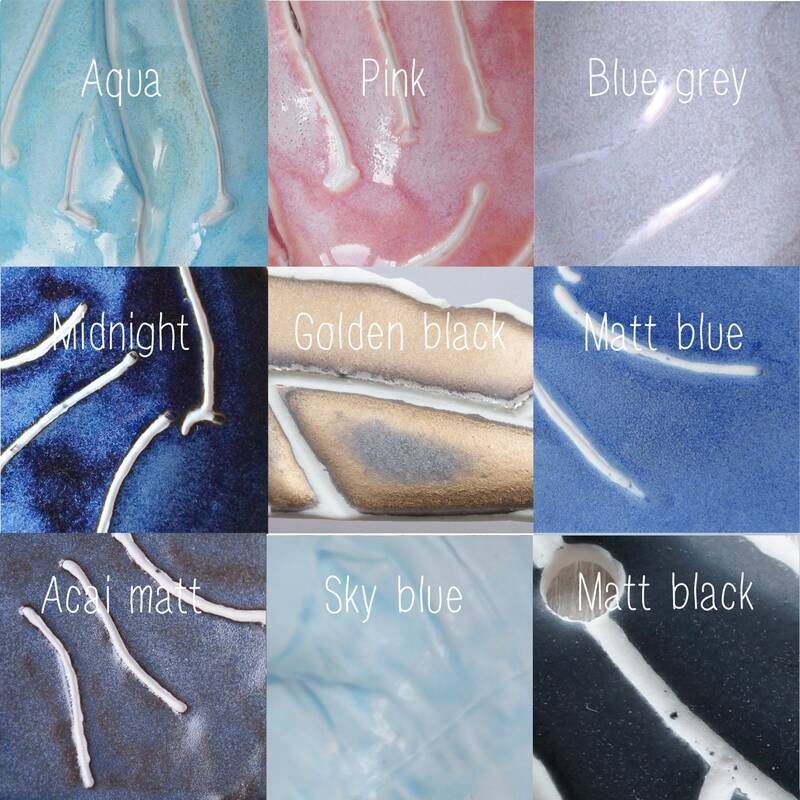 Please allow for slight differences in the glaze due to the hand made processes. Yours will be just as beautiful as those shown. As a graphic designer I am used to designing logos with minimum detail and maximum impact. 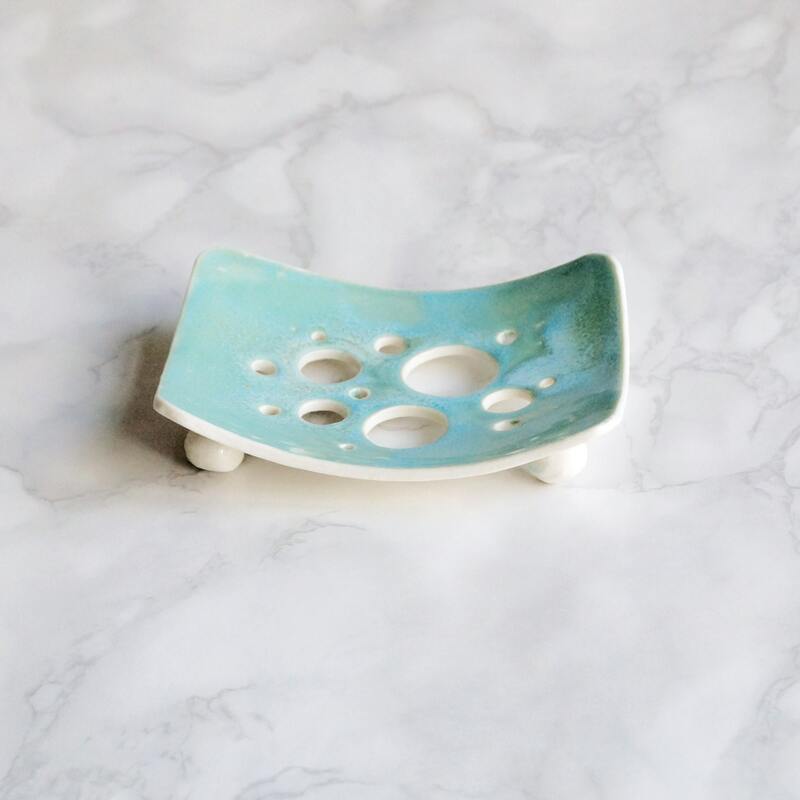 Living by the sea and an assymetric aesthetic have also inspired this soap dish. So delicate and nicely crafted. Arrived perfectly packaged and protected and with a nice wrapping, thank you! Exactly what I was looking for! Shipped quickly and it was excellent to work with the seller. Highly recommend! 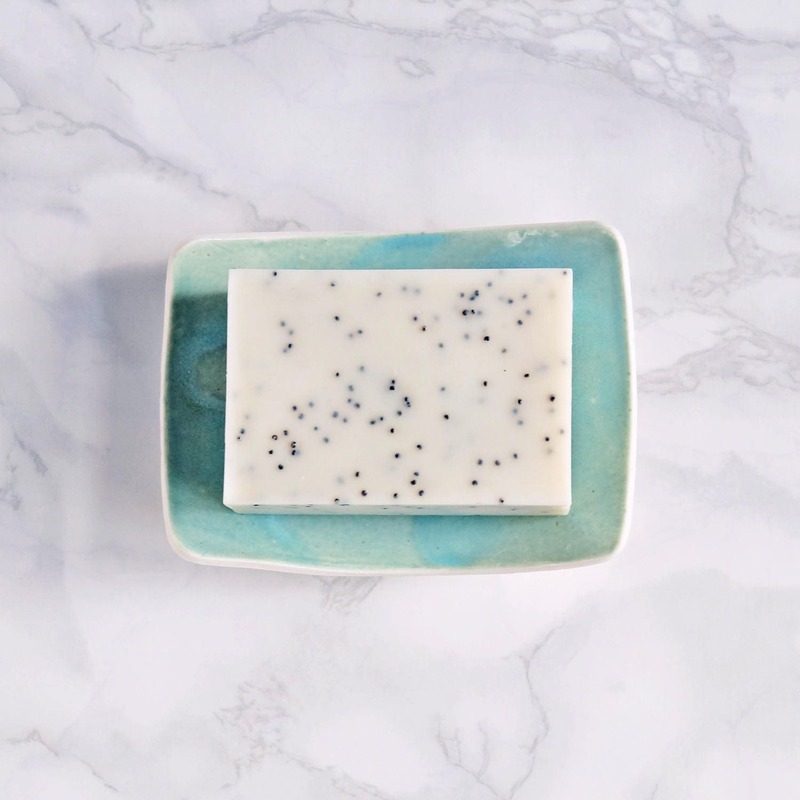 A lovely well made soap dish that matches my bathroom perfectly, and also my lovely soaps no longer get soggy bottoms! These are fabulous and I am a repeat buyer and just love them. Thank you for packaging them so well for the long journey.